Software and hardware experiences with a Raspberry Pi. Official web site of RPi-Monitor. Note: A new version of RPi-Monitor is available: Version 2.1. The version 2.0 of RPi-Monitor has been released. If you don't know yet what RPI-Monitor do, have a look to RPi-Monitor Overview. RPi-Monitor is now fully configurable. Everything displays in status page or in statistics page can be modified, tuned and customized to your needs. You can see the manpages of rpimonitord and rpimonitord.conf for deepers details. 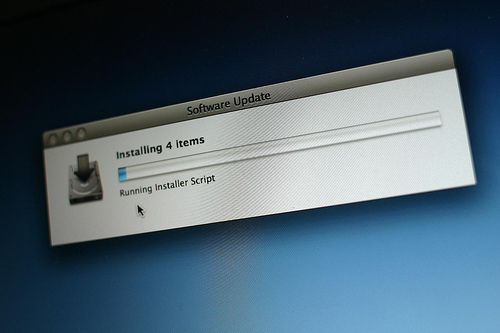 Remove update package status update after apt-get command. Update command will have to be executed manually. Configuration file and RRD of RPI-Monitor version 2.0 are not compatible with version 1.x. If you previously used version 1.x, it is advised to remove RPi-Monitor before installing this version. RPi-Monitor is now fully configurable so if the displayed information doesn't match you need, customize it. Everything display in status page or in statistics page can be modified, tuned and customized to your needs. Man pages are also available in the wiki. You will find some examples of customisation in RPi-Monitor articles. Once RPi-Monitor is configured as you wished, browse http://RPiIpAddress:8888/ to access to the web interface. Note: The graphs rendering may have strange behavior on Google-Chrome on Windows while it works fine on Linux. Internet Explorer is even not able to display statistics, it is then advised to use Firefox on Windows or better... switch to Linux! ;-). "Can not get information (dynamic.json) from RPi-Monitor server." What is the problem? I upgraded from 1.5, and libjson-perl installed, update/upgrade also. 'sudo reboot' and 'sudo apt-get update && sudo service rpimonitor update' required again. Linux - What's up doc! © Xavier Berger 2013. Powered by Blogger.